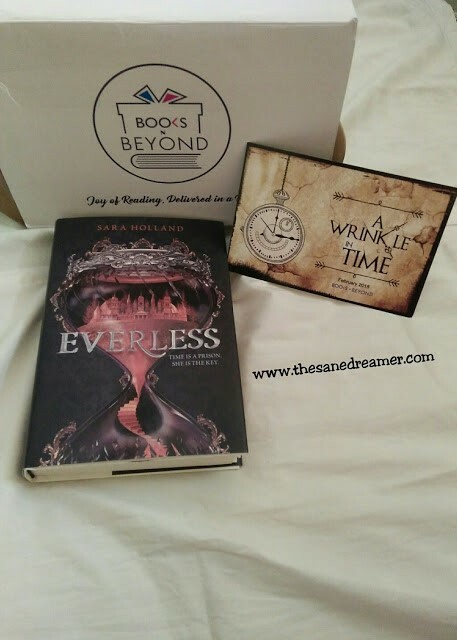 Another Month and another unboxing and review of BooksNBeyond Box. 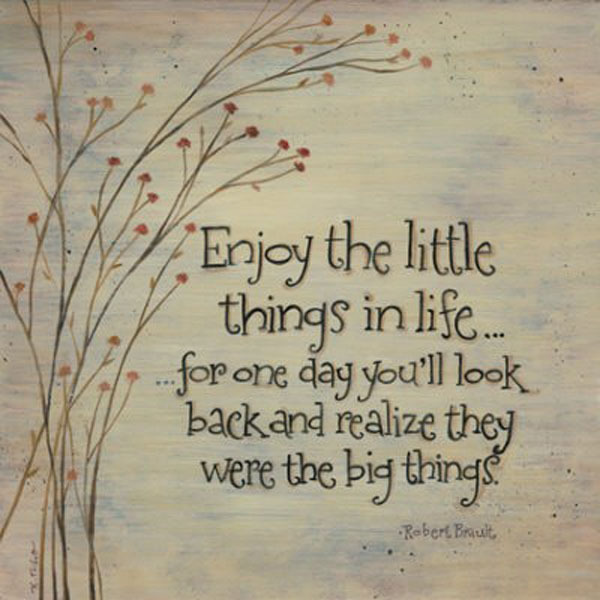 A Lil late to write this… I know, I have been MIA lately for a longer period this time, but I am back. So, let’s get back to the unboxing! 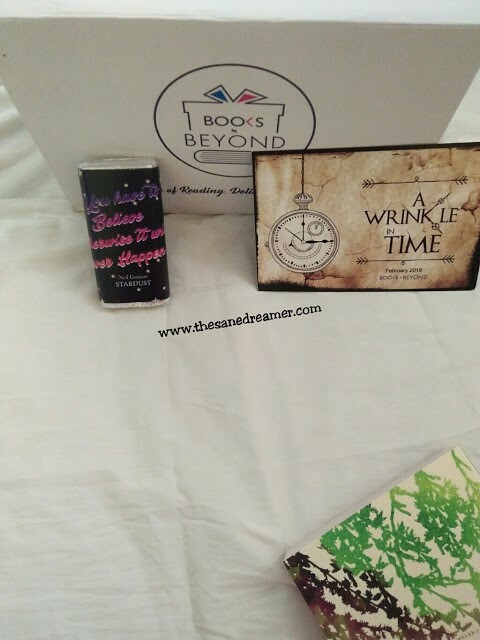 The February theme for BooksNBeyond Box was ‘Wrinkle In Time’ and glad I got my hands on it before it got sold out. One of the reasons why I was super excited about this box was coz it was the curator's ‘Papiya's' and also my birthday month. I was super elated to see the box just two days before my birthday, it was everything which would make you want to say 'it is perfect.' I did a full unboxing scene on my Instagram page, but nothings better than writing what I feel about all the beautiful stuffs. 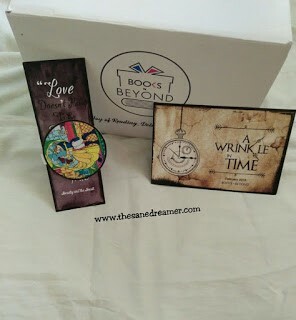 So, without wasting much time, I am going to show you what’s inside my BooksNBeyond February edition box. 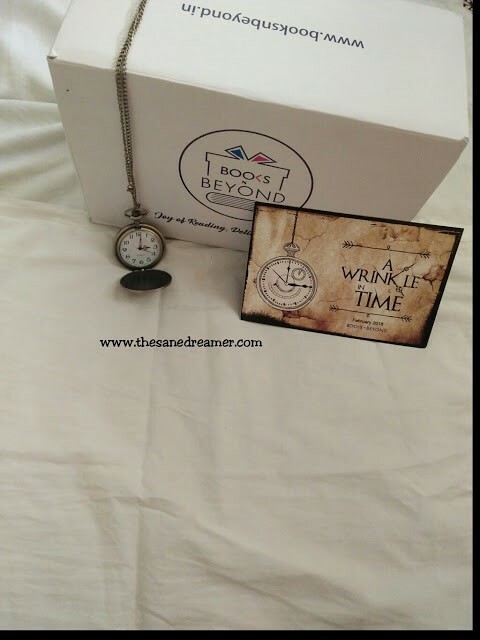 Since the theme of the box is based on Time, it has some awesome bookish stuffs related to time. You will soon find out what I am talking about. Also, the best part was that it had two books… I repeat 2 books!! This month, subscribers were given the options to choose between “How to stop time" & "Everless." I would probably want both of them. But, since I had to go for only one of em, I choose the latter, not that the cover was beautiful enough to lure me, but I have heard a lot about this book and it was also in my #TBR list for long. For the first time, BooksNBeyond had the option to add two books and one of them happened to be a classic read, ‘Thetenants of Windfell Hall, by one of the best all time writers Anne Bronte. I love the Bronte sisters, unfortunately Anne Bronte happened to write just two book, this book was her 2nd and also the last book the author wrote. I have read it, but was glad to add it on my collection, since it has a beautiful new cover edition. Just take a moment to admire this beauty. So vintage and so gorgeous. Right? I am so in love with this fob watch, I will be carrying it around wherever I go. 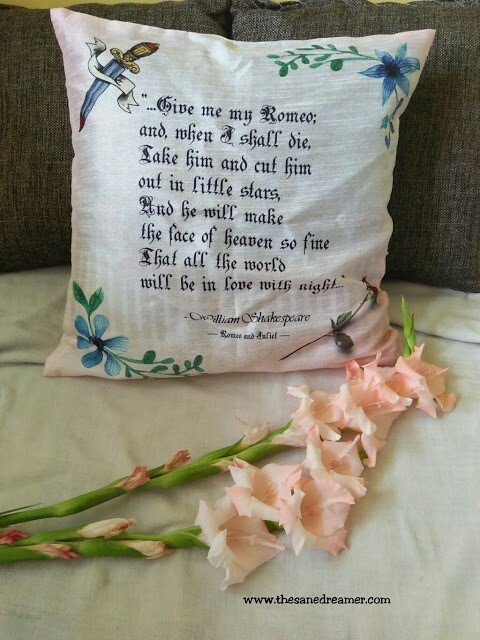 An exclusive cushion cover inspired by Shakespeare’s Romeo and Juliet play. This chocolate is made especially by a sweet sin for Books n beyond” Well, who doesn’t love chocolates? Also, it was too beautiful to be eaten. It’s so pretty, I couldn’t get my eyes away from it. I might as well use it in almost all the book I read from now on. Not kidding! This cute little miniature sticky note and page marker surely caught hold of my attention. Just love how everything looks so English. P.S: not to forget, but the curator was very kind enough to send me a birthday note with a cute little gift. A necklace with a little spectacle shaped pendant on it... Oohh! One of the many reasons why I love going back to Book N Beyond to fix my bookish need. Any day. 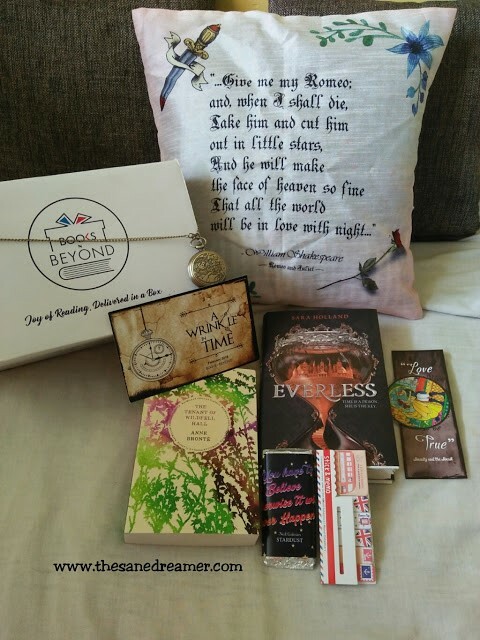 So, there you go… the complete unboxing of BooksNBeyond for the month of February. 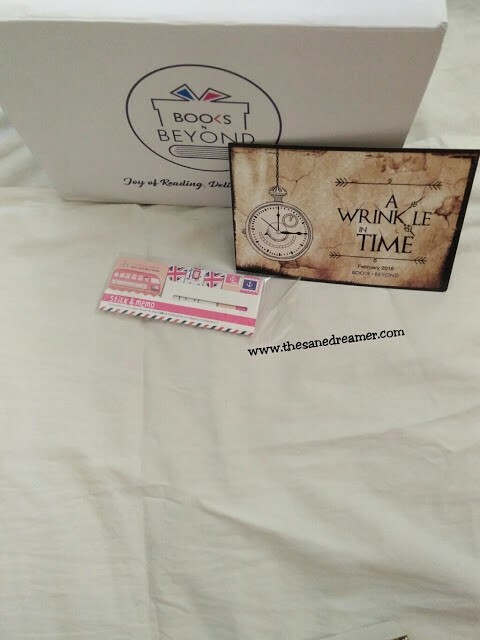 FYI, if you are still wondering where you can get the perfect book box for yourself or as a gift for someone dear, don’t hesitate and visit BooksNBeyond, for all the beautiful books and bookish stuff. They surely have the best merchandise to make you go back and order every month. Trust me, I am saying this with my own experience. 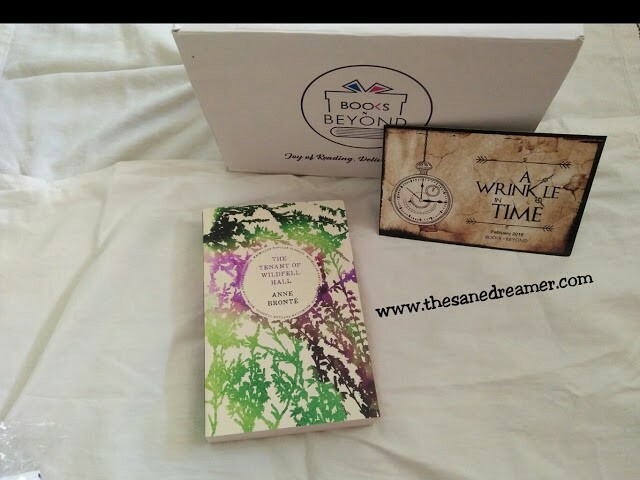 Go, get your dose of happiness delivered in a box with BooksNBeyond.